Enugu State police command has arrested a notorious kidnapping ring, specialized in abducting children especially from schools. They were said to have enticed children with beautiful dresses, Biscuits, Chin-Chin, and Candies among others. They had last month abducted one Ugwu Levi Chiagozie from a Nursery school located in Imilike Ani, Udenu and whisked him away to Anambra State where they handed him over to a nurse for sale. They were however, arrested Monday, when they attempted to abduct a child at a certain Primary school located at Imilike Ani, Udenu area. Police Public Relations Officer in Enugu State, Ebere Amaraizu, who confirmed the development, said their arrest followed intelligence received on the activities of the syndicate. 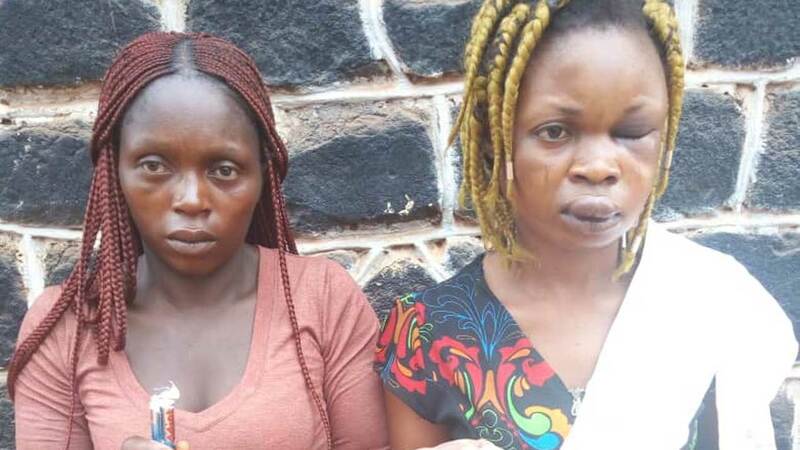 “Following their arrest, suspects had revealed how they carried out abduction of a 4-year old school boy identified as one Ugwu Levi Chiagozie from another Nusery/Primary school last month, which they handed over to a nurse in Anambra State for sale. Recovered from the suspects are children’s dresses, Biscuits, Chin-Chin, Candies and other items that can be used to entice little children”, he stated. He said the police have commenced full-scale investigations into the incident.